We all have busy lives revolving around work, children and other responsibilities. So an easy dish that is quick to cook but healthy and yummy to eat is very sought after. I turn to Italian for this. Especially because we have lot of good pasta that is fast and frozen but still healthy. My favorite is frozen spinach and mozzarella ravioli from Costco. This preparation is very easy and yummy-licious. 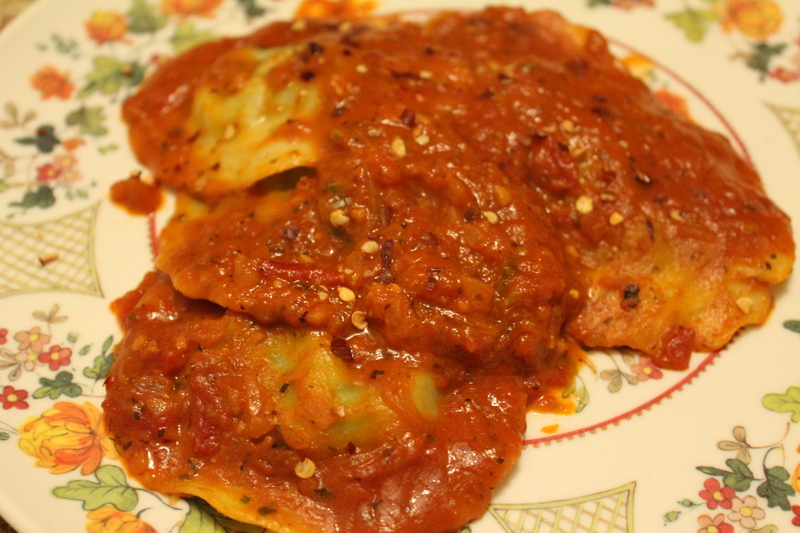 So here goes my version of Ravioli with tomato cream sauce. To start, cook the frozen ravioli according to directions. 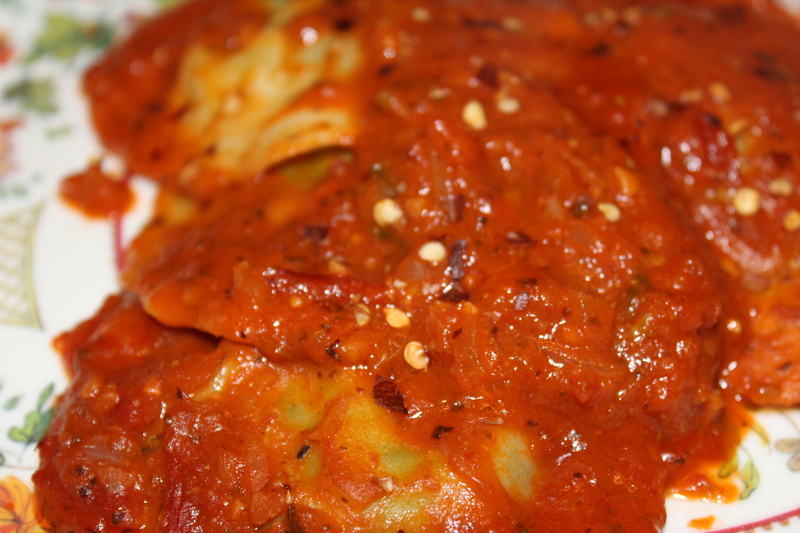 Tip: When cooking the ravioli, be very cautious to not rip open the ravioli. Once done, put that aside. In the meantime, melt the butter and add your diced garlic to it. Once the garlic is sauteed, add the onions to it and saute till brown. Add the chopped celery next and once done, add the marinara sauce. Let this mixture simmer for 10 mins on medium heat. Once done, add the heavy cream and mix. Add ravioli at the end and let the mixture simmer on low for 15 mins. That should get all the flavors together. Finally garnish with red pepper flakes. Done. Yummy ravioli made fast. Absolutely. I dont eat meat, but this will definitely pair well with meat. Accentuate it with a pair of red wine for added fun and flavor!